Cyclops seem to be pretty popular right now. I’m sure that has a bit to do with Steven Universe, but I personally can’t get the Cyclops from the made for tv version of The Odyssey out of my head. 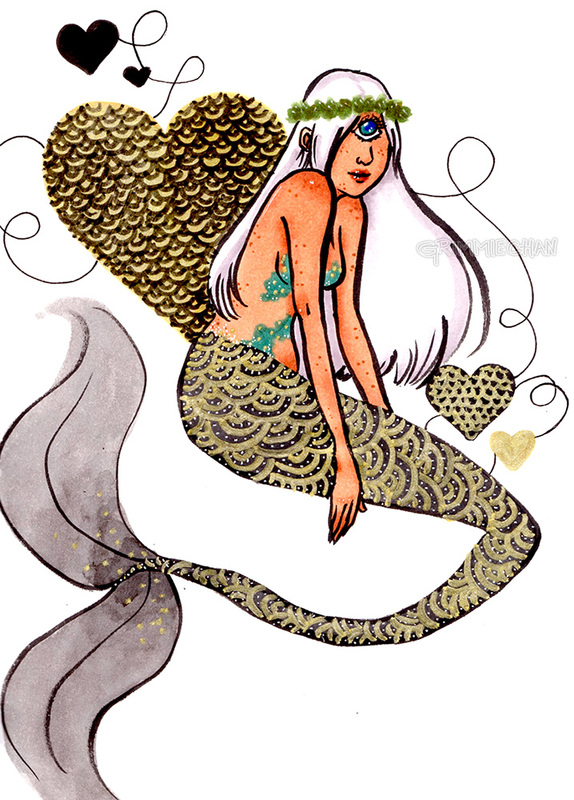 Nevertheless, I wanted to do a Cyclops mermaid girl, again, because why not? I think there’s no better excuse than that. I’d also been playing with this gold Sharpie paint marker a lot at the time, and a mythological creature seemed like a good excuse to use it.